 What is the Freedom of Flight Museum? The Freedom of Flight Museum Inc, is a dedicated group of flight enthusiasts focused on stimulating and fostering an interest in aviation and space flight in the Joplin and surrounding four state area. Our mission is to acquire, restore, preserve, and display aircraft and spacecraft related artifacts. Through these activities, the museum serves the public interest by providing educational opportunities and programs specifically focused on the history, technology, math, science, and human aspects of flight. The museum facility will be located in Joplin, Missouri and serve the four state area of Missouri, Kansas, Oklahoma and Arkansas. It will focus primarily on air and space history, activities and current events of this area. A large portion of the museum's focus will be geared towards providing educational opportunities for our area youth. Until funds can be accumulated to build a building the museum will exist as a virtual museum. Check back often for new content.